Thanksgiving is always a great time to reflect on how much we have to be thankful for! 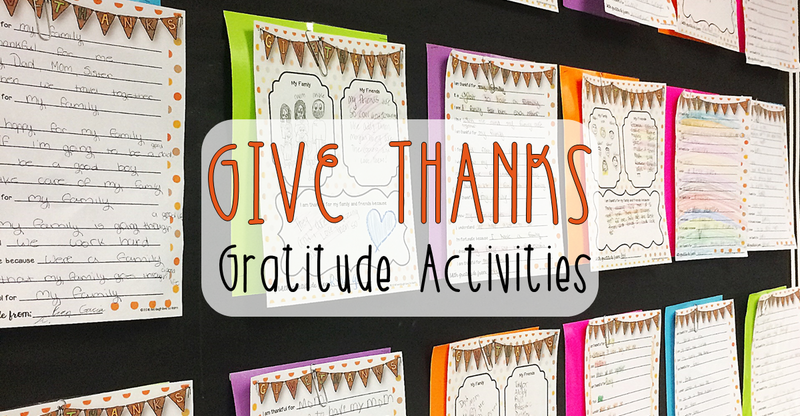 In my classroom, I like to work on writing activities the week before the holiday to think about the people in our lives and meaningful ways to show our gratitude. 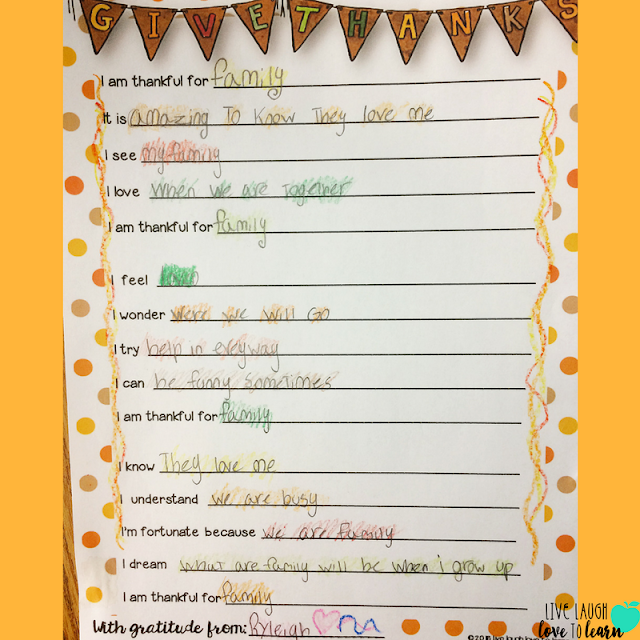 I've created an "I Am Thankful" poem template for students to share their gratitude and I love how simple and beautiful the poems turn out! 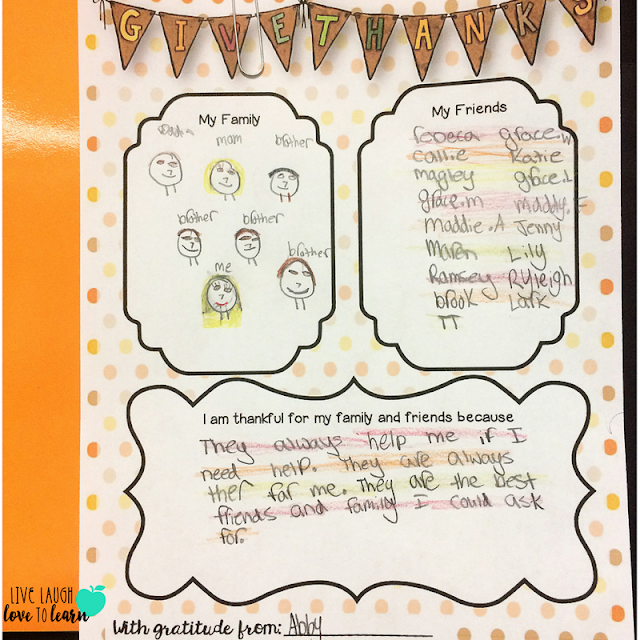 Students just need to come up with something or someone they are thankful for and write their ideas around that topic. The most popular topic is FAMILY. I model an example for them using my family to help them get started. Next, they create a "Give Thanks" mini-poster. There are two boxes to complete for family and friends, and a third box to write about why they are thankful for their family and friends. I allow students to write or draw (or both) in the family and friends boxes and require to complete the "why" box in writing. Finally, students write notes of gratitude to special people in their lives. I ask students to write at least two (but more are encouraged) - one to a family member and one to someone outside their own family - such as a favorite teacher, the principal, a custodian, a bus driver, a babysitter, etc. I ask my students to share their poems and mini-posters with their families on Thanksgiving day and help them deliver their notes of gratitude to the special people outside of their family. 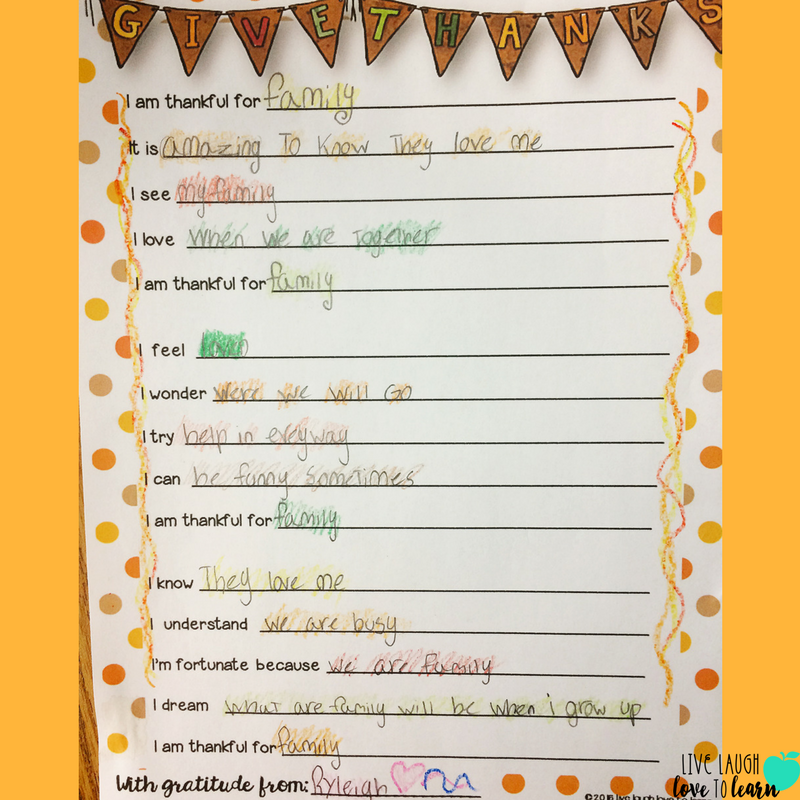 The Give Thanks poem template, mini-poster, and notes of gratitude are available for FREE in my TeachersPayTeachers store, HERE. I am thankful to YOU for stopping by!